Gatlinburg Named In The 15 Best Places to Travel to in 2017! Congratulations to Gatlinburg, Tennessee for being named by travel website www.Thrillist.com as one of the 15 best places to travel this year! Our small town ranks right up with incredible places such as Peru, Antartica, and Quebec. We are very thankful to have been recognized alongside such incredible cities from all over the world. To those of you who have traveled here before, of course, it is no secret that our area is loved by so many. With weekend get-away convenience from many major city’s such as Charlotte, Atlanta, and Nashville, our area allows many to experience a bit of the Smoky Mountain’s at a time. After the tragic wild fires that hit our city at the end of 2016, we could not be more excited to see that so many will come to visit us this year. We are ready whenever you are! Come take a hike, ride a roller-coaster at Dollywood, stay in a cabin, and grab a bite to eat. While you are here, give us a call and see what the Jason White Team can do for you. 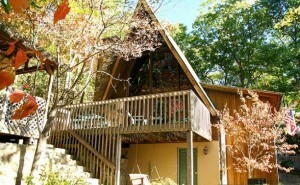 1832 Luzerne, Gatlinburg – $299,900 This is a beautiful 3 bedroom, 2 bathroom located in well-known Chalet Village. 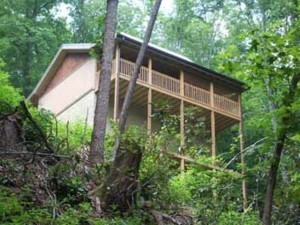 This property offers incredible views of the smokies and even shares a border with the National Park! 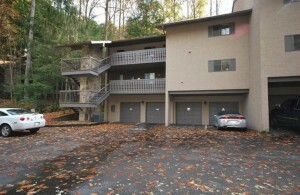 Ideal as a permanent or 2nd home, or as an overnight rental – has tremendous rental potential in a great location. 180 degree views of the mountains! Come see for yourself today. 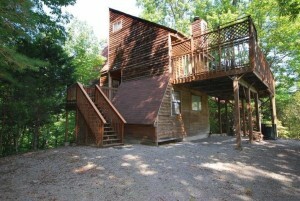 443 Loop Road, Gatlinburg – Silverfox Lodge – $375,000 This incredible cabin grossed $78,000 in rental income in 2016! 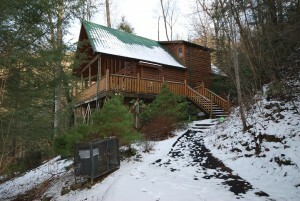 This 4 bedroom, 4 bathroom custom log cabin is located in the city limits of Gatlinburg and is nearly walking distance to downtown and all of the main attractions. This property has a stunning game room and master-sized suites on both levels. Give us a call to schedule a showing! National Park Sees Record Breaking Numbers in 2016! The Great Smoky Mountains National Park has just announced a record breaking attendance number for the year of 2016! According to a National Park Service release, 11.31 million people visited the park this past year; this is up 5.6 percent from 2015. We are very grateful for all of you who come to visit each year! The Great Smoky Mountains National park is the most visited park in the nation, and covers 522,427 acres over the mountains of Tennessee and North Carolina. Some other interesting facts about GSMNP include: 730 miles of fish-bearing streams, 10 campgrounds with a total of 1000 sites and over 850 miles of back country trails. Winter is a fabulous time to enjoy the national park! While you’re here, why not see what the Jason White Team can do for you? 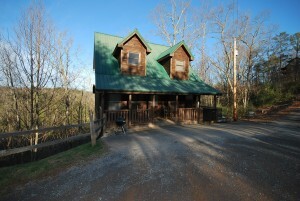 1848 Billard Way, Sevierville, TN 37876 Private, well-built, 3 BD/3 BA, 2,300+ sq ft, log cabin, located only mins. to dwtn. 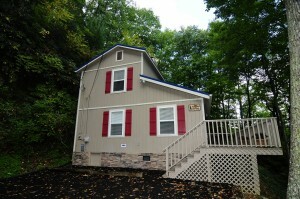 Pigeon Forge, Dollywood, & much more, complete w/amazing, panoramic views of the Smokies, the surrounding valleys, & more. Currently on a well-established rental program. 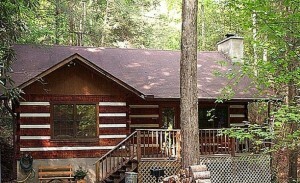 This well-built log cabin has lots of features, both inside & out. 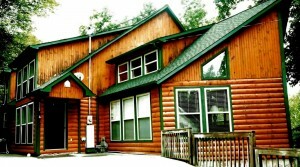 A great, well-built log cabin w/tremendous potential – come see it today! Congratulations to Century 21 for the THREE PEAT win! Congratulations, Century 21, for winning the THREE PEAT! For the third year in a row, CENTURY 21 brand received the highest numerical score among 5 real estate companies for first-time homebuyers and sellers, repeat home buyers and sellers (in a tie for repeat home buyer) in the J.D. Power 2014-2016 HomeBuyer/Seller Satisfaction Study. The Jason WHite Team is so proud to be part of this company! Give us a call to see what we can do for you today. 410 Big Bear Way, Unit 5001- $189,900 – This luxuriously appointed 5th floor corner unit is an easy 1/2 mile walk from the main parkway in the middle of Pigeon Forge AND boasts beautiful city & mountain views. It’s hard to beat that combination, right? Call us today for a showing! 353 Lewis Clabo Way – $259,900 Private, well-located, beautifully constructed, 4 BD/4 BA log-style home, located within walking distance to City trolley stops, many of the attractions & shopping of dwtn. Gatlinburg, & much more. 129 Oglewood Way – $599,900 -Private, beautiful, creekside, 4 BD/4 BA, 2,700+ sq ft mountain chalet, recently remodeled in 2014, located within easy walking distance to City trolley stops & only mins. to dwtn. Gatlinburg. Makes near or above $77K in rental income annually, & is on track to make over $83K this year alone. Call us to see today! Congratulations to the City of Gatlinburg and the City of Pigeon Forge for recently being named in the top 20 cities in the United States by TripAdvisor for vacation rentals! This recent raking by TripAdvisor was compiled by analyzing the demand for vacation rentals from 2015 to 2016, with the demand for a vacation rental in Gatlinburg going up by 71% from 2015 to 2016, with Pigeon Forge’s vacation rental demand also going up by 73% from 2015 to 2016, with both cities only trailing Big Bear Lake, California at 85% increased demand throughout the country. A great statistic, to be sure, and definitely shows that people from all over the country truly want to see the beauty and splendor of the Great Smoky Mountains for themselves. With such a high interest in our area, now is a great time to see what else the Smokies can do for your today. Please feel free to browse our many great Featured Properties, and learn more about how The Jason White Team can help your realize your home ownership dreams today, right here in the Great Smoky Mountains! In addition, we also are showcasing this week’s Featured Properties below, which features three of our many great Featured Properties for this week, all of which are brand new property listings, just listed this week. Please take the time to look at these wonderful properties today, along with looking at all of our Featured Properties on our website, where you can also search the entire MLS and view our Featured Properties in greater depth, as well as to learn more about The Jason White Team and our local community. Congratulations to The Jason White Team For Being Ranked in The Top 50 Real Estate Teams Nationally for Century 21! Congratulations to The Jason White Team for recently being ranked in the Top 50 Real Estate Teams nationwide for Century 21! Our Team was ranked in the top 50 team nationwide for Century 21 offices across the nation, based on rankings of teams by units. A great honor for our Team, to be sure, and we look forward to continuing to help buyers and sellers with the home ownership dreams here in the beautiful Great Smoky Mountains region. With our Team, we work constantly to help buyers and sellers alike realize their home ownership dreams here in the Smokies. Why not see what our Team can do for you today? Please feel free to browse our many great Featured Properties, learn more about The Jason White Team, and see what people who have worked with our Team have said about us and what we have done for their home ownership dreams here in the Smokies – we look forward to working you! 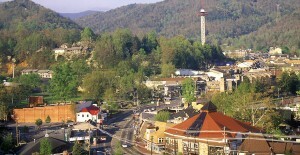 Gatlinburg Recently Named as The Top Summer Meeting Destination in the South! The City of Gatlinburg was recently bestowed with the honor being named as the top choice for “The South’s Cool Spots for Summer Meetings,” as rated by ConventionSouth Magazine for 2016. 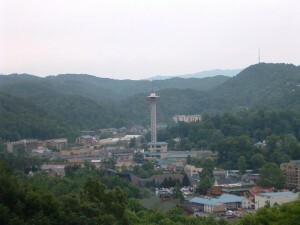 According to the Mayor of Gatlinburg, Mike Werner, “It is no surprise that Gatlinburg is top of the list. Surrounded on three sides by the Great Smoky Mountains, Gatlinburg is naturally cooled by the mountains.” The mayor also went to say that “Gatlinburg has all the amenities of a great convention city. We are proud to be recognized by ConventionSouth readers as just that.” A truly great honor for the City of Gatlinburg, to be sure – very exciting! With honors like this for the Gatlinburg area, as well as all of the many different amenities that make our area the unique place that it is, it is no wonder why so many people come to the Great Smoky Mountains every year. Why not see what else the Smokies can do for you today? Please feel free to browse our many great Featured Properties, and learn more about how The Jason White Team can help you realize your home ownership dreams today! SHORT SALE – JUST REDUCED FOR QUICK SALE! Two Gatlinburg Area Hotels Recently Rated on AAA’s 2016 Diamond Rating List! A great honor was recently bestowed by AAA for two of the Gatlinburg area’s hotels, namely the Eight Gables Inn and The Lodge at Buckberry Creek, where they were rated on the 2016 AAA’s Diamond Rating List, as Four Diamond-rated hotels, along with twelve other hotels throughout the State of Tennessee to receive this honor. Each year, AAA reviews more than 28,000 hotels nationwide and issues their Diamond Rating List each year, based on their findings for each hotel in the United States. A very well-deserved honor for two of our area’s hotels, to be sure – congratulations! With many different attractions and venues to enjoy the Great Smoky Mountains in all of its natural splendor here in our area, it is no wonder why so many people come to our area every year. Why not see what else the Smokies can do for you today? Please feel free to browse our many great Featured Properties today, and learn more about how The Jason White Team can help you realize your home ownership dreams today!